If It's Hip, It's Here (Archives): Brilliant Ad for Nighttime Bus Service Shows The Ugly Side of Partying. Brilliant Ad for Nighttime Bus Service Shows The Ugly Side of Partying. Ever wonder how you appear to other people when you're drunk? It's not pretty as this inventive and interactive spot for Movia, a Danish nighttime bus service shows you. The Byturen spot from the Copenhagen ad agency Bocca is a compelling interactive video which uses a special effect to emphasize how different one appears and behaves when they are drinking and suggests taking the bus home at night rather than driving. The video is double layered and interactive. 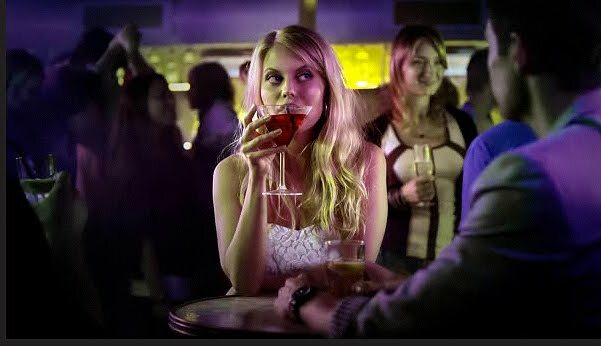 It shows a typical youthful night out, drinking and dancing, flirting and frolicking. But move your mouse over the video and the ugly truth is revealed. Sloppy drunk young men and women look skanky, urinate on the floor and behave very unattractively when you pass your mouse over the movie. The copy at the end of the spot asks: “Is it time to get home?” at which point we see our main characters riding the bus home - undoubtedly much to the relief of sober drivers on the road.